The first thing to do when starting this job, is to remove the hood from the car. Then you can have full access to the clutch. 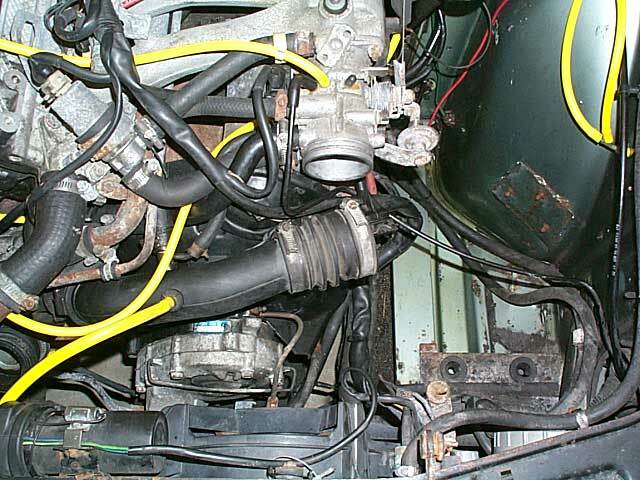 Then you can start loosening, disconnecting everything in front of the clutch cover. I always start with the turbo intercooler ducting. If you don't have a turbo, then it makes it very easy to access the clutch cover. 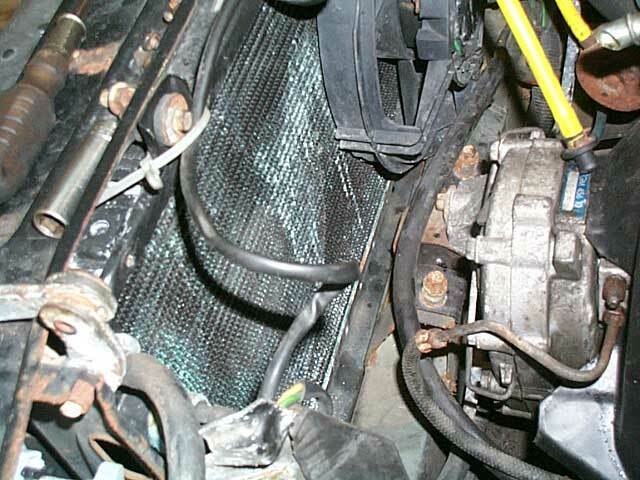 Here I have removed the pipe going to the intake manifold and the intercooler. The Air Mass Meter (AMM) has also been removed. Be careful with the AMM, as it is fragile. If you drop it, it will most likely be broke! 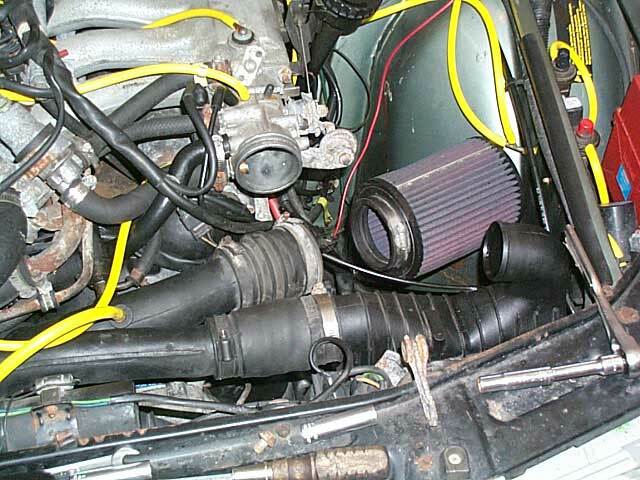 I have now removed the intercooler, and the the output pipe of the turbo. Some people have told me that you do not need to pull the A/C fan. You can just rotate the fan blades so that the clutch shaft will be up against the radiator. This is up to you! If you choose to take out the A/C fan, be sure to unplug it before trying to pull it out! The bottom screw is the hardest screw to get at. If the fan has been out before, than most likely you can just take out the top 2 screws and pull out the fan. Most people will keep the bottom screw loose, just for this occasion! NICE RADIATOR JEFF! I also had to completely remove the Turbo Bypass valve (AKA Hooter Valve). The hooter valve hose connecting to the intake manifold was blocking one of the screws for the clutch cover. I then removed the plug going to the distributor, I already broke it the last time I tried to this job!